Leikarring Folk Dance Group Eidsvold Lodge's Leikarring was originally formed in 1947 by members Margarete and Andy Gilstein. Members wear the National Hardanger costume (bunad). Traditionally, the group performs four classifications of Norwegian folkdance: Bygdedans (village dance), Gammeldans (old dance), Turdans (figure dance, and Sangdans (song dance). 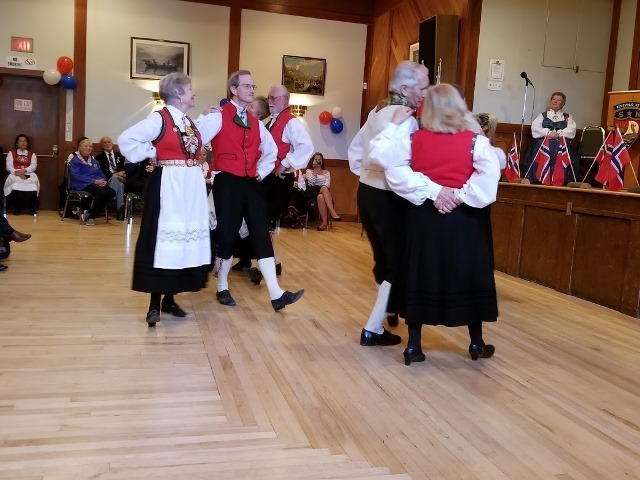 They have performed at local Lodge events, for schools and seniors' centers, the opening for the 1994 Commonwealth Games, and as far away as Stavanger, Norway in 2000 for the Nordleck Scandinavian Dance Festival. The group meets at Norway House on Tuesdays at 7 P.M. Contact Mel Klassen at 250-595-7052 for more information. 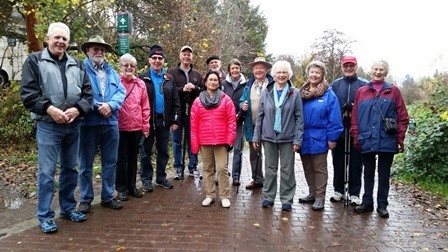 The Eidsvold Walking Club meets on the first Saturday of each month at pre-determined locations around Greater Victoria for a scenic and leisurely walk of about 4-5 kms. After the walk, the group gets together for lunch at a nearby restaurant or pub for an enjoyable meal together. All Lodge members and guests are welcome! Times and locations can be found below or in the latest issue of the 'Runer' on our Newsletters page. 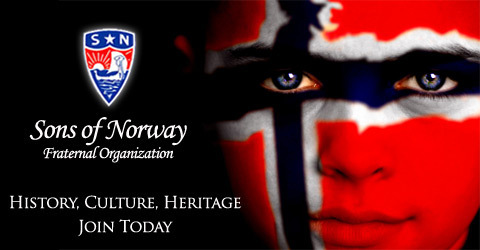 Cultural Programs Throughout the year under the direction of Marg Sorensen, we offer a number of activities to share Norwegian and Scandinavian culture. These include such things as conversational Norwegian, rosemaling, and knitting, just to name a few. **Update: Join a cultural program in 2019. Knitting and Norsk kafe (conversational Norwegian) resume on January 8. 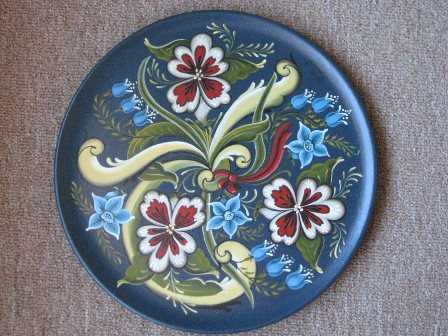 Beginner rosemaling workshops will be offered in March. Contact Brendastengel@gmail.com for more information on rosemaling. Hello Sons of Norway brothers and sisters! Please share this with your other lodge members. Each lodge can participate regardless of the number of members (or how many members want to join in the fun). Choose a Cultural Skill from the Cultural Skills program on the International website. Some examples are Norwegian Cooking, hardangersom, rosemaling, woodcarving, Norwegian language, folk dancing, genealogy, or stamp collecting. (It is a good idea to pick something your group wants to learn and try some new skills.) Get a group together for an evening, a day, a weekend or several small sessions and work together on that skill. Send me information on the skill(s) that your lodge is working on and I will gather this information so that participating lodges can be recognized. This isn’t really a contest because any lodge that participates is a winner! If you choose to do a Cultural medal you can be rewarded by the International lodge with medals that you can present to participants at an event of your choosing. 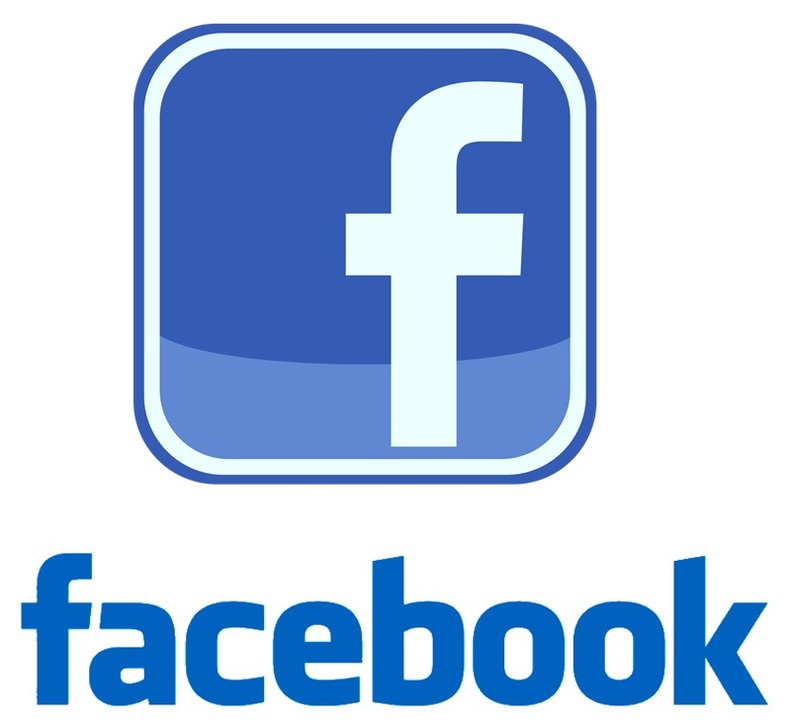 Invite non-members to join in the fun and use this as a way to increase your membership. There are people in District 7 who are willing to teach various skills, but your lodge will be responsible for organizing a teaching session and paying the travel costs of any of the teachers. Ask me if you need some contact information. There are also some classes available in the Lower Mainland through the Norwegian House Society or the Scandinavian Centre if you are a Lower Mainland lodge. Victoria also has some good teachers. I know that lodges in other areas have people with various skills or who have arranged for a teacher to come to teach their members, so living out of the Lower Mainland is not a reason to opt out. Let’s have some fun with this! The deadline in April 30, 2020. Please download your printable Volunteer Forms here. They are in .PDF file format and require Adobe Acrobat Reader (free) to view and print. Please Note: The 2018 form has recently been updated to reflect more activities. Starts at 6:15 PM, Dinner served at 7 PM. Bring a small plate of goodies to share. Earn bragging rights over all of your competitors! April 30, 2019 at 12 noon sharp! May 4, 2019 - Meet at Playfair Park at 11 AM sharp! Lunch after at Whitespot on Quadra. at Kings Road and Quadra, across from Fairway Market. Begins at 6 PM sharp and proceed to the Lodge. May 28, 2019 at 12 noon sharp! The Victoria Sons of Norway Eidsvold Lodge Annual Golf Tournament at The Metchosin Golf Course is again being organized by the members of the Torskeklubben. This is always a fun-filled event, and we welcome players from all levels of golfing skills to participate. There will be prizes galore and an excellent Awards Dinner at the end. We can only accommodate 40 golfers so please reserve your place as soon as possible. We encourage you to bring your golfing friends and to put together a foursome for an exciting afternoon. We will begin with the traditional Ken Lee Putting Contest at 1:00 PM and anticipate the first Tee-Off to be around 2:00 PM. For the BBQ Dinner after the game, we offer five selections: steak, salmon, ribs, chicken, or vegetarian. 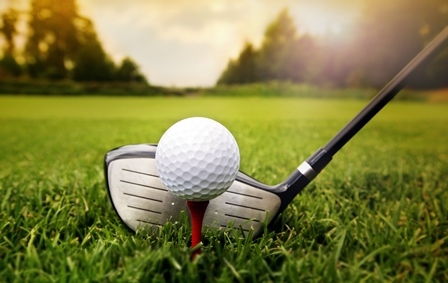 The price for nine holes of golf plus dinner, will be $60 per player. If you or your partner do not golf, but want to join us for dinner only, the cost is $32 per person. *If you have any interesting prizes that you would like to donate to this event, they will be very much appreciated.